Original multi-colour serigraph (silkscreen) on medium-weight paper, not numbered, of unknown limited edition. Colour image fills sheet to the edges; in lower right of image plate: plate-signed by artist. Accompanied by Biography of Artist on a separate sheet. This serigraph comes from an oversize calendar titled "Künstlerkalendar '75" published 1975 by Bruckmann München and containing "13 Originalserigraphien" ie. 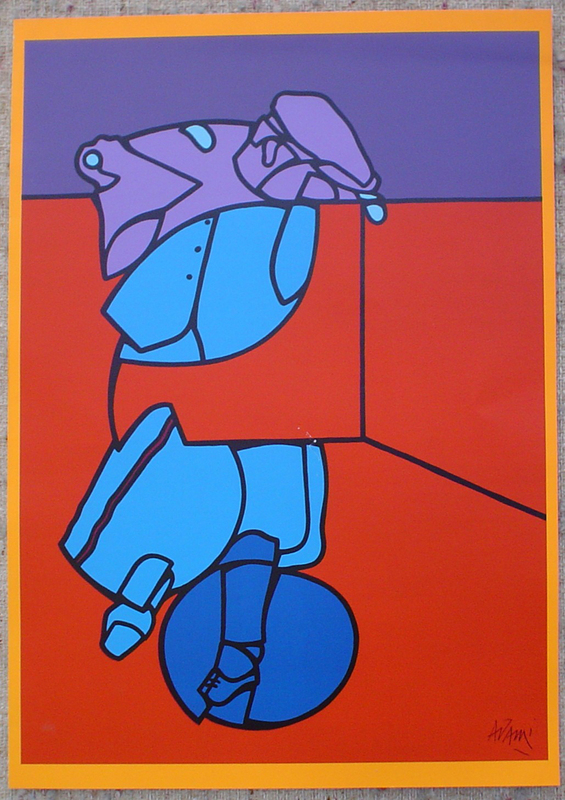 13 original serigraphs, from thirteen leading European artists contemporary to that time. The calendar was bound with tiny perforations across the top to allow each serigraph to be easily removed from the calendar. 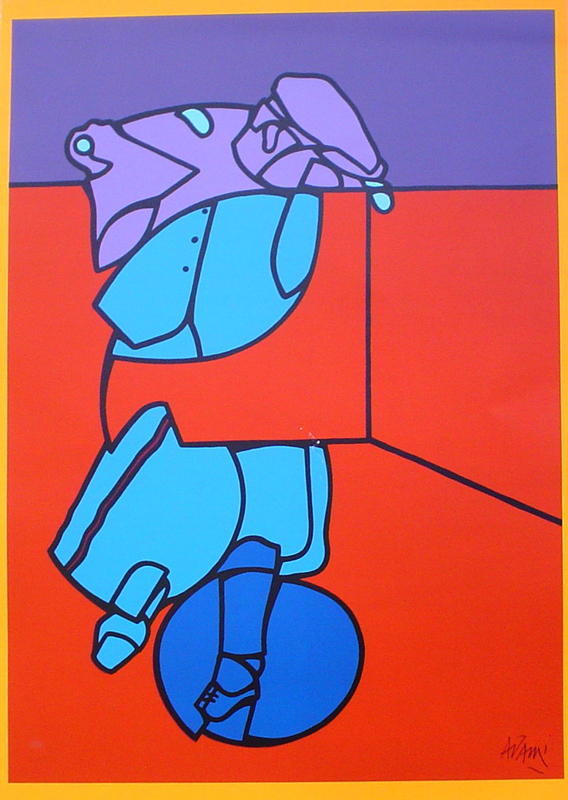 This particular serigraph is featured on the cover of the calendar. 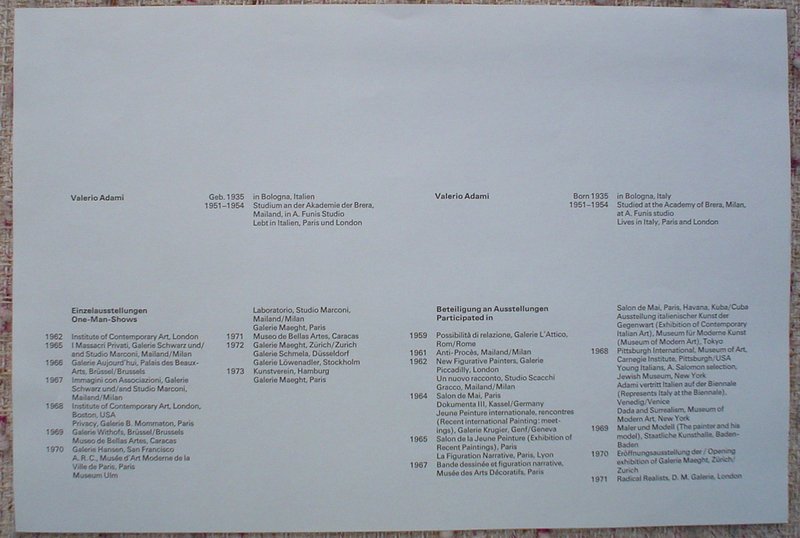 Biography of Artist taken from the calendar is included on a separate sheet.